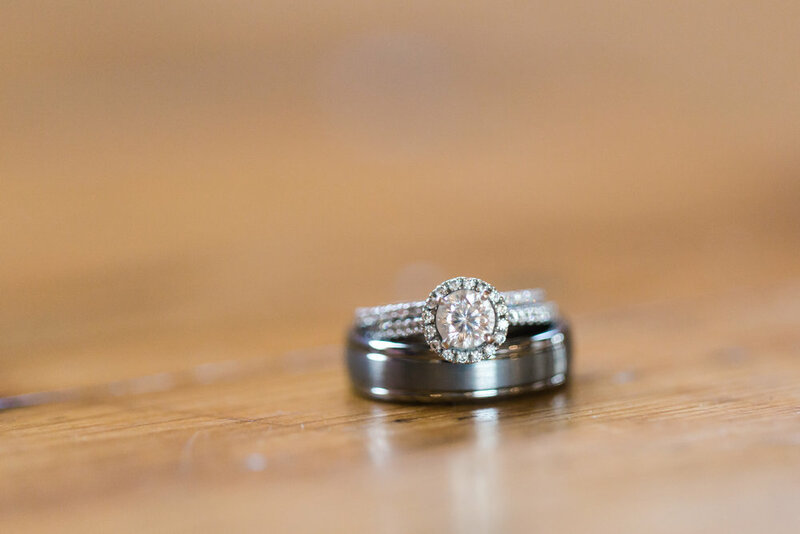 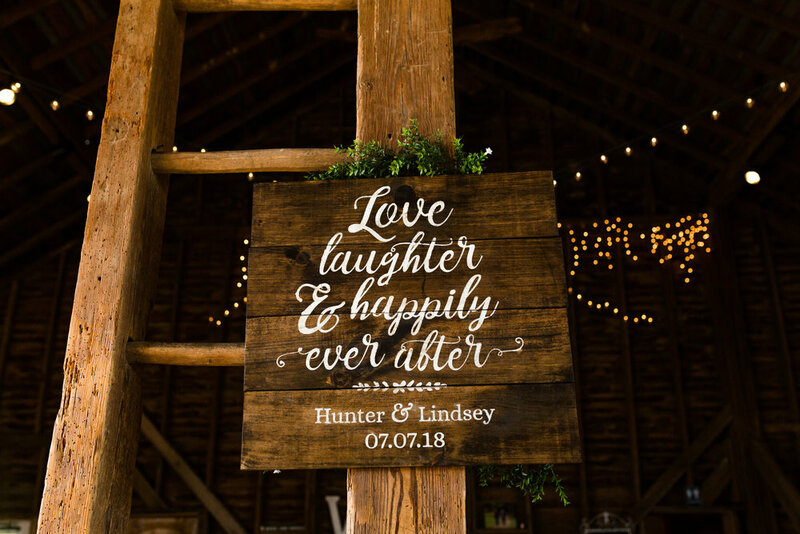 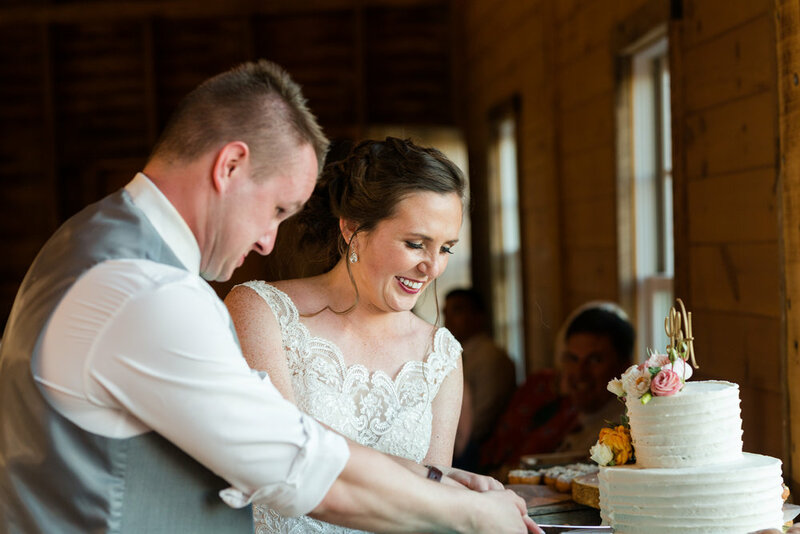 Lindsey and Hunter fell in love with the southern charm of Cross Keys Barn upon their first visit. 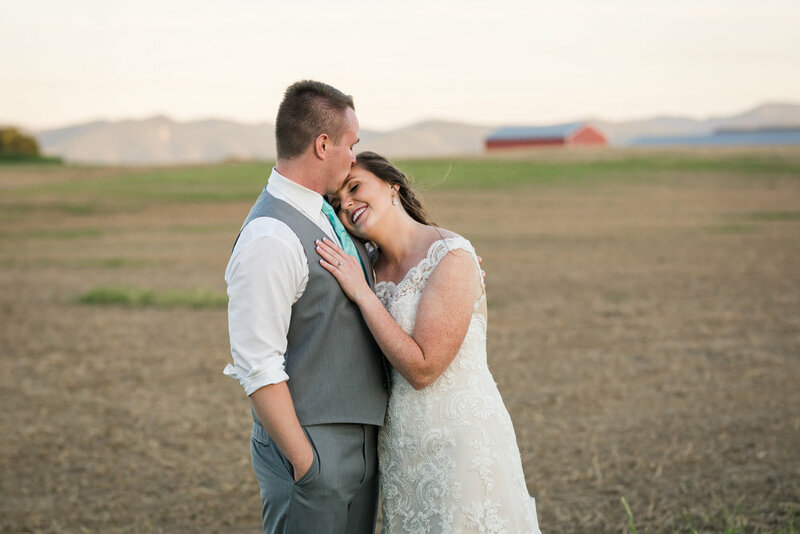 They love being outdoors and when surrounded by the gorgeous views they knew the venue would match their summer wedding plans perfectly. 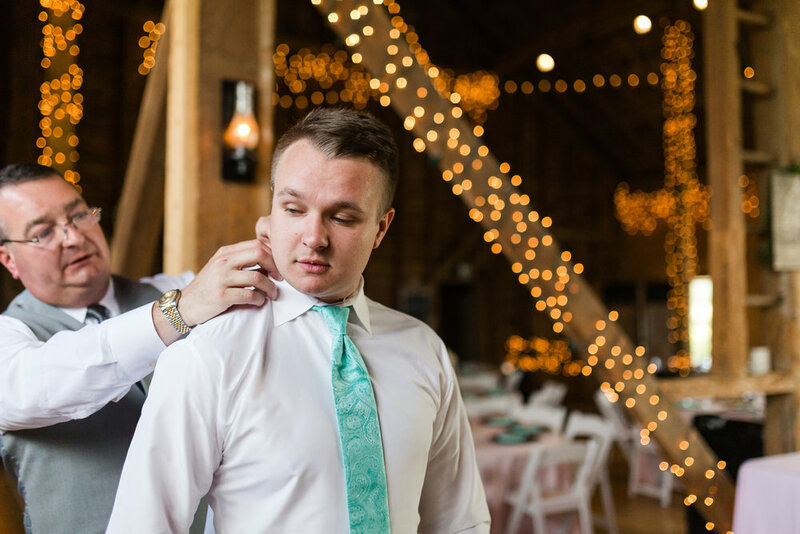 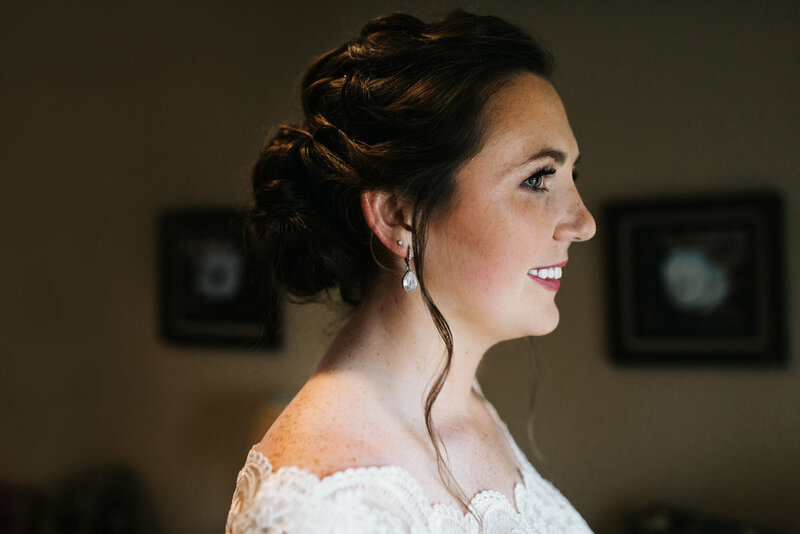 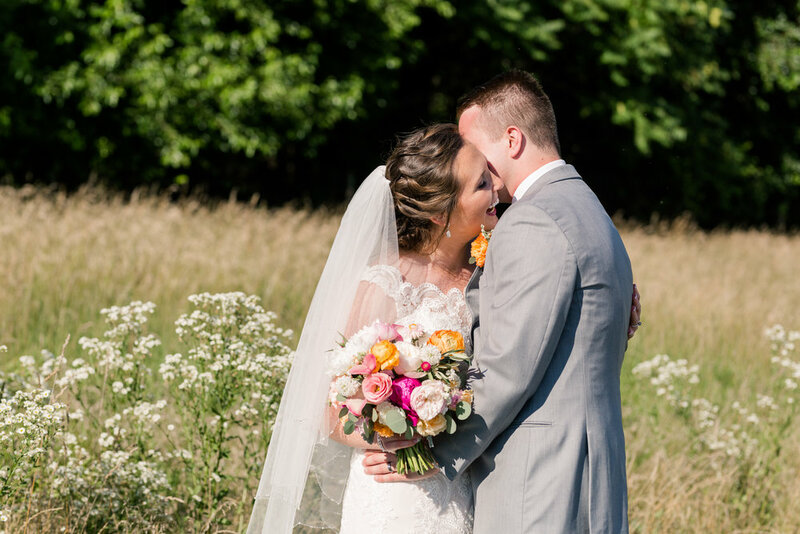 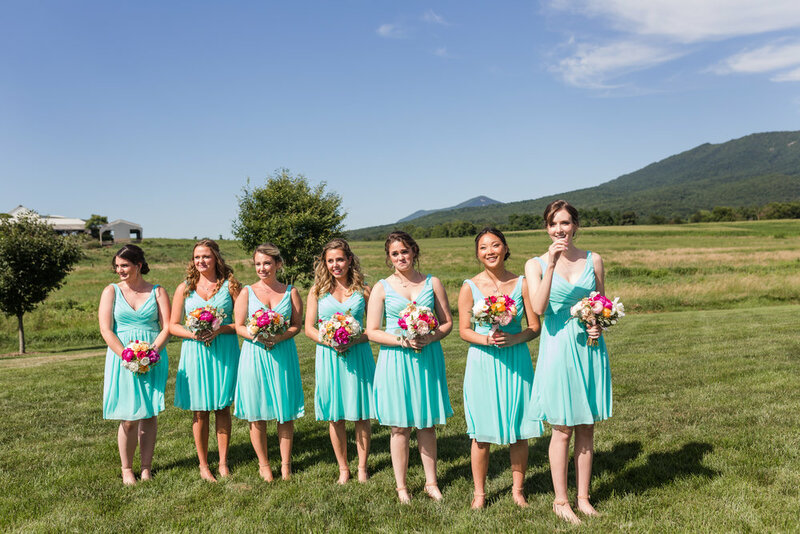 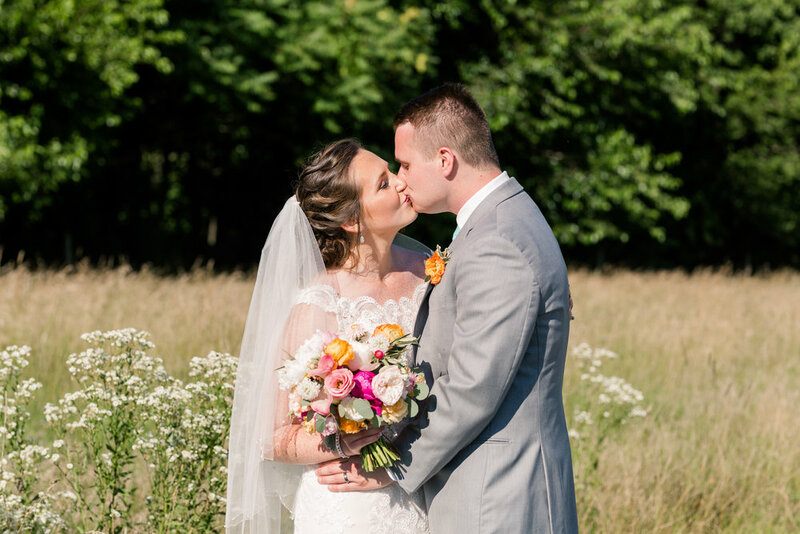 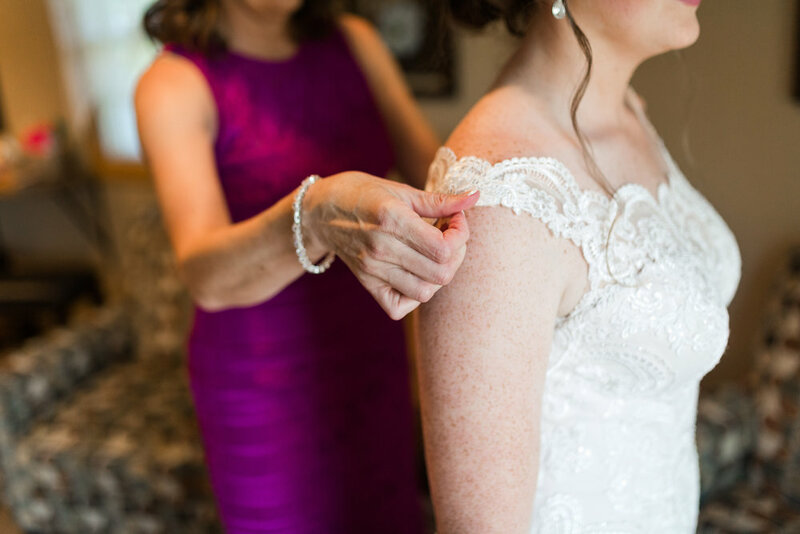 Lindsey and Hunter chose to use the bright summer colors of teal and coral and they provided such a beautiful pop of color in every part of their wedding. 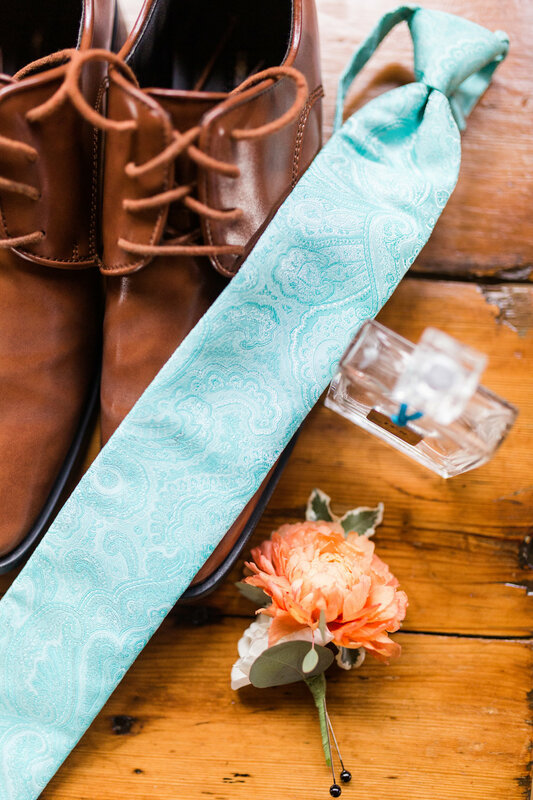 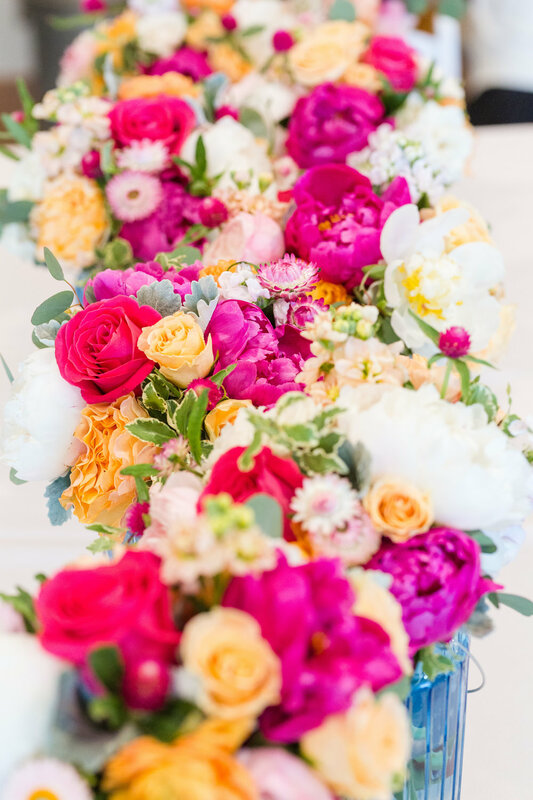 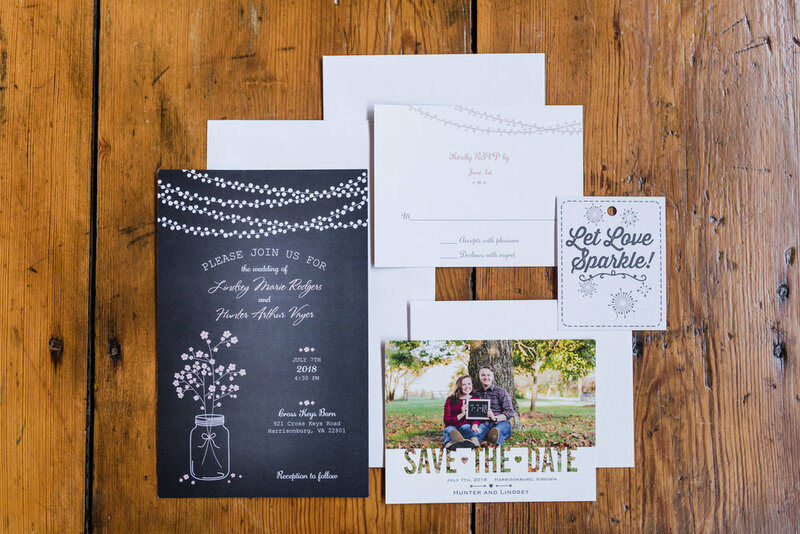 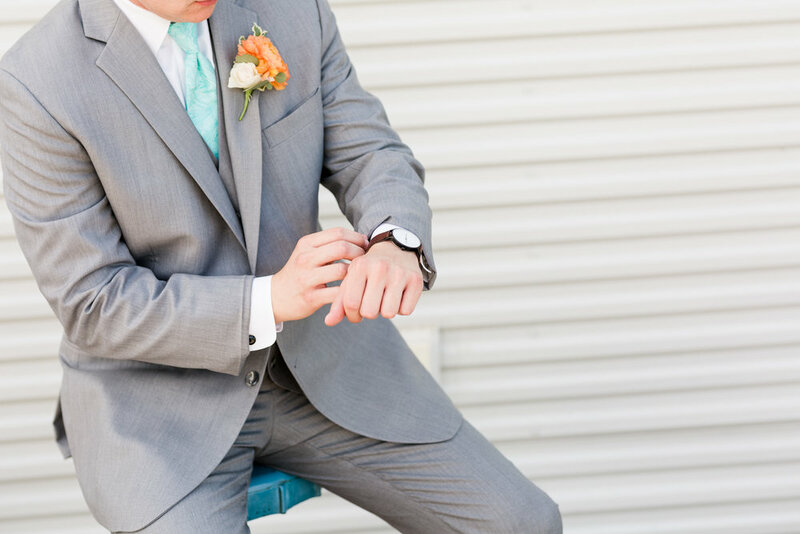 From their colorful bouquets and arbor to the beautiful bridesmaids dresses and men's ties, they found the perfect colors for a summer wedding. 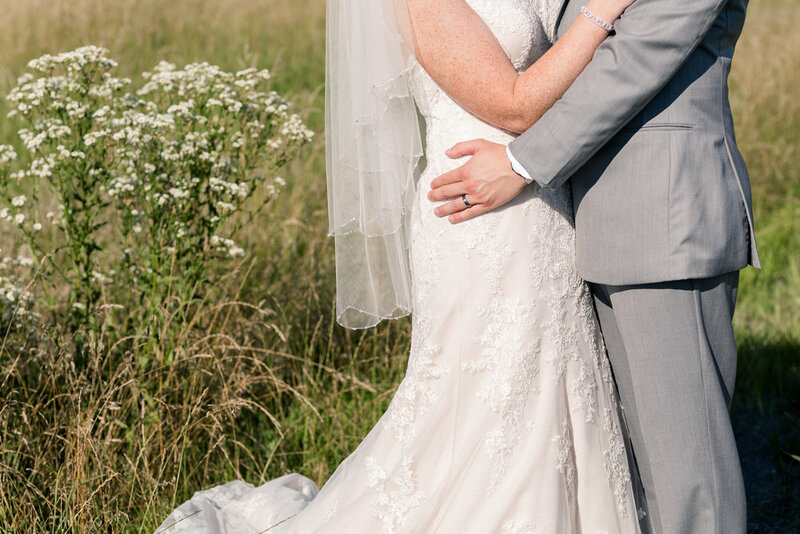 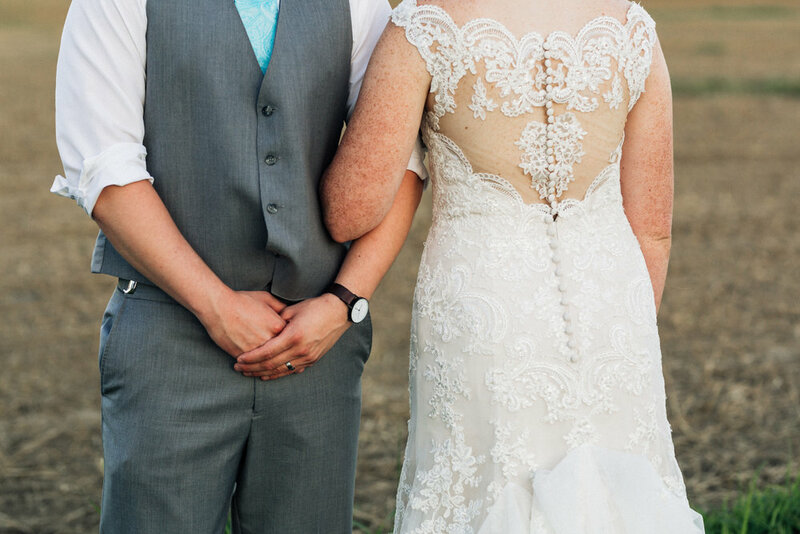 Speaking of summer weddings, these two hit the weather jackpot. 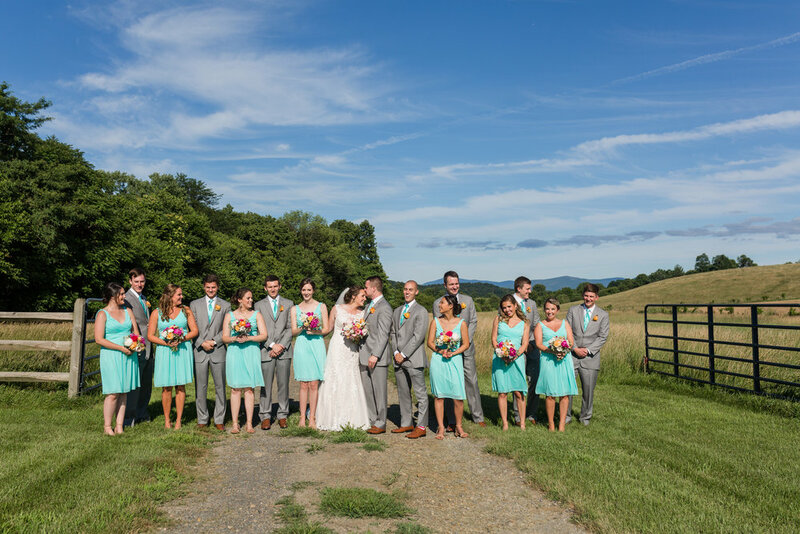 While it was very sunny, the temperature was low and there was a light breeze all day. 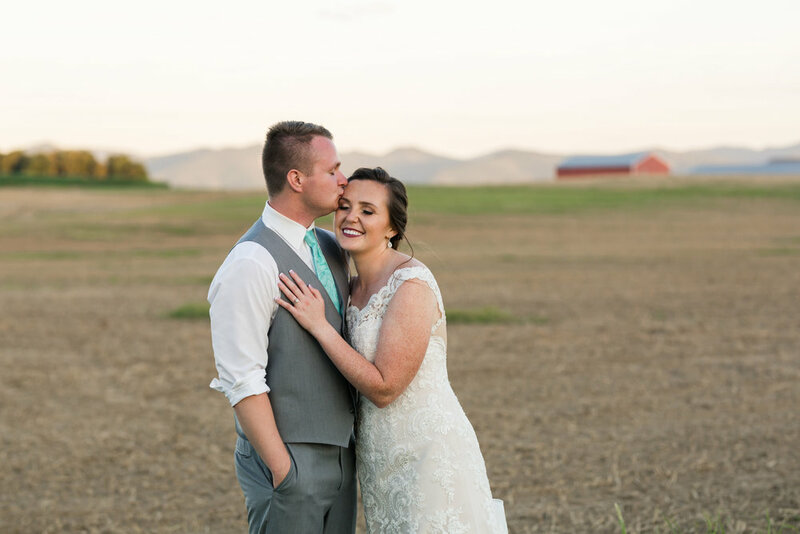 It felt like fall instead of early July and guests were talking all day about how perfect it was, both the weather and the wedding events! 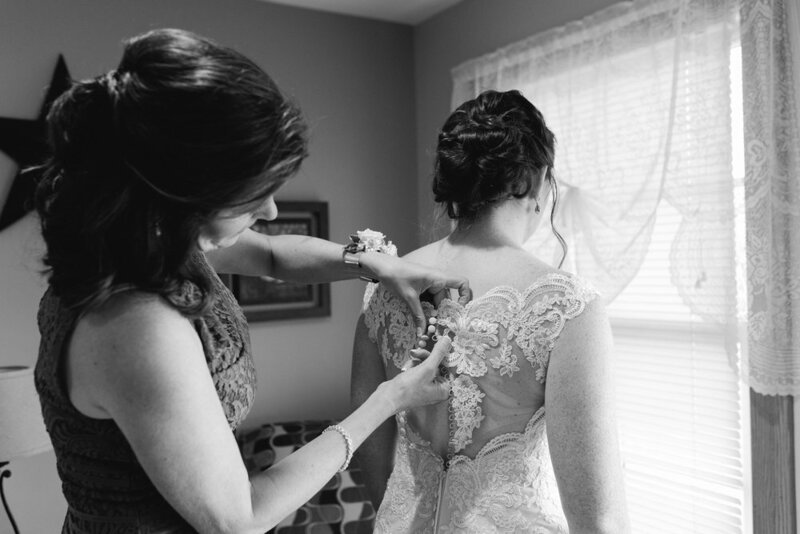 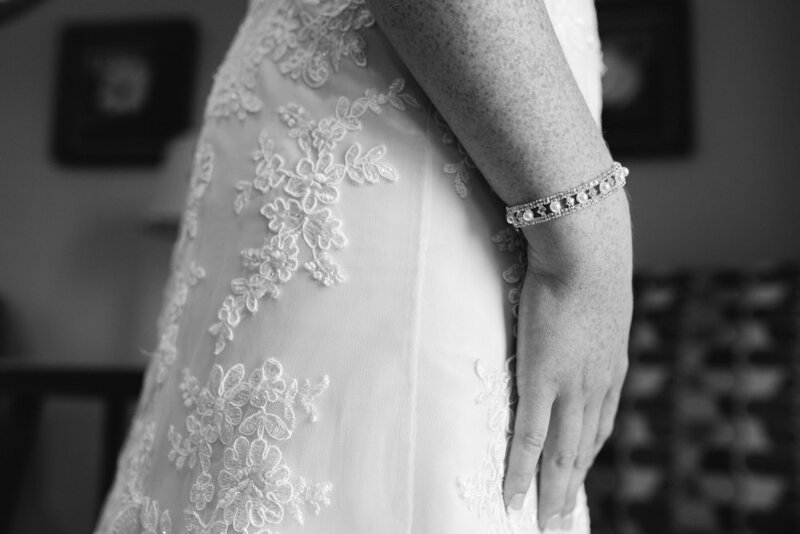 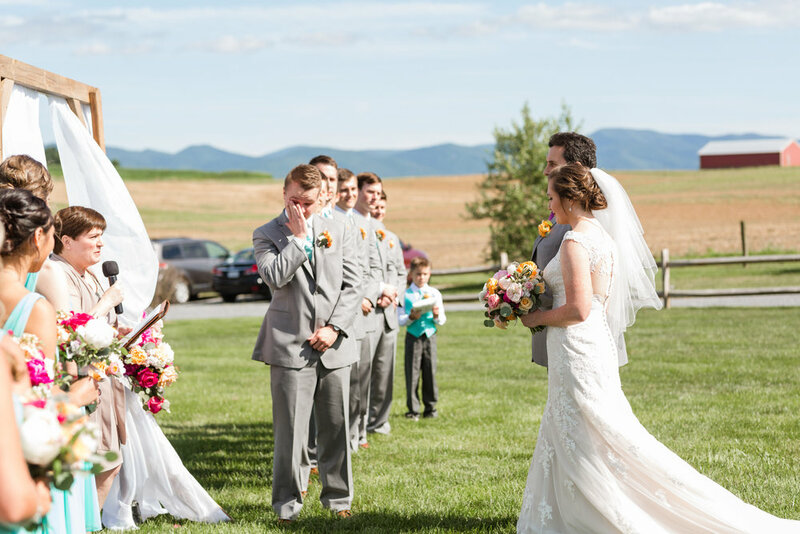 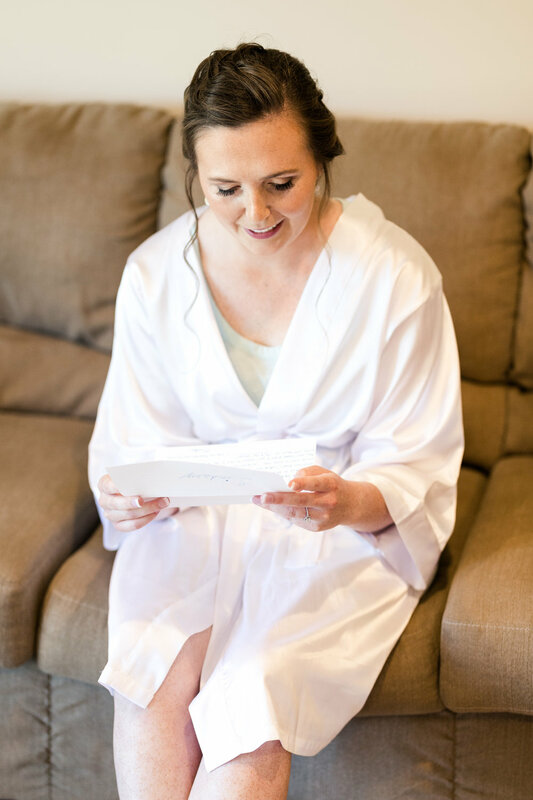 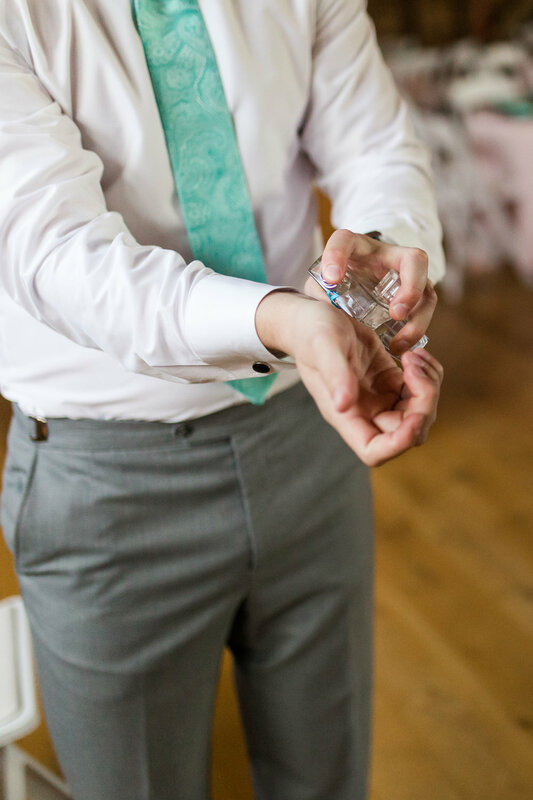 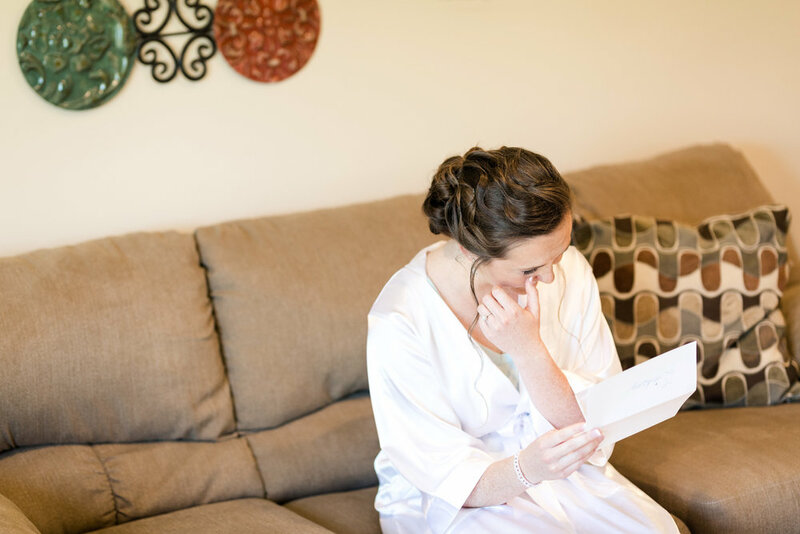 Lindsey and Hunter chose not to see each other before their wedding, which led to the most emotional and heartwarming reaction from her groom as she walked towards him. 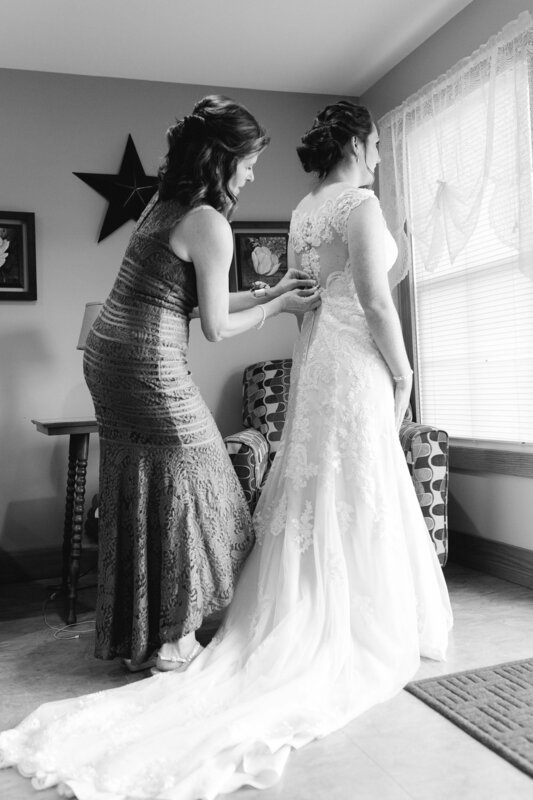 The father of the bride looked so proud as he guided his daughter to her husband, it was truly the most beautiful moment of the day! 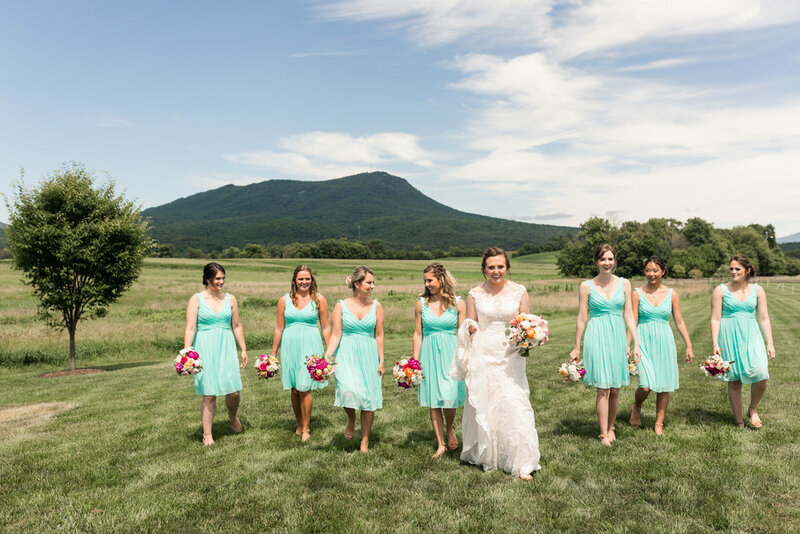 The blue sky and mountain tops behind them became the perfect backdrop as their guests enjoyed that cool breeze and a ceremony filled with love and special moments. 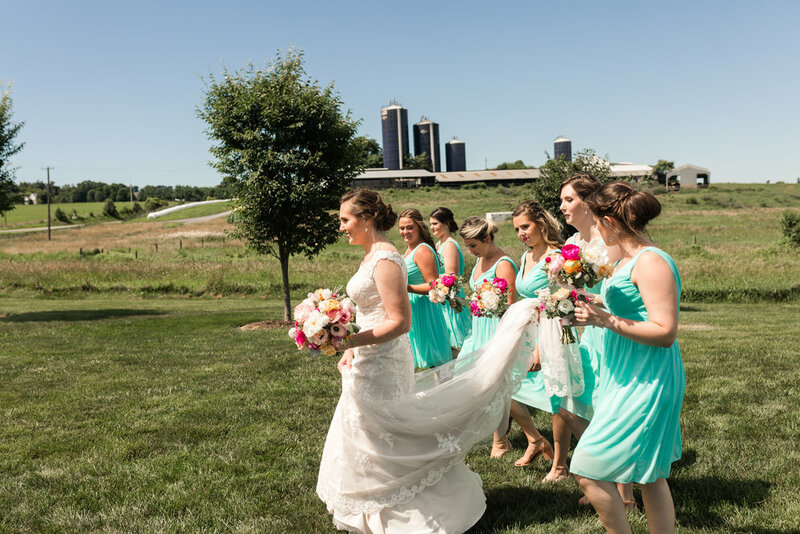 Wedding party portraits were a blast with this group as they laughed and squinted a bit in the bright sun, but they were troopers and the maid of honor did not let go of that train all day, way to go MOH!! 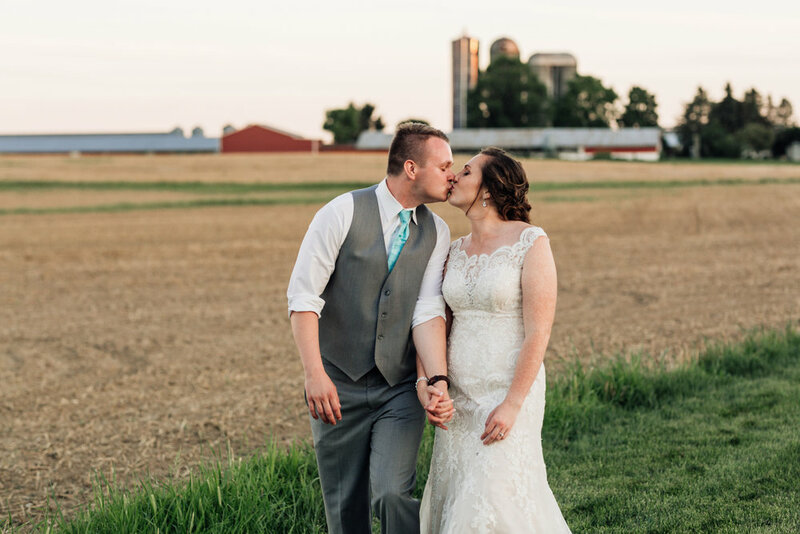 Lindsey and Hunter chose to do some of their portraits before entering their reception and then scheduled about 15-20 min of time right around sunset to leave the reception for more portraits. 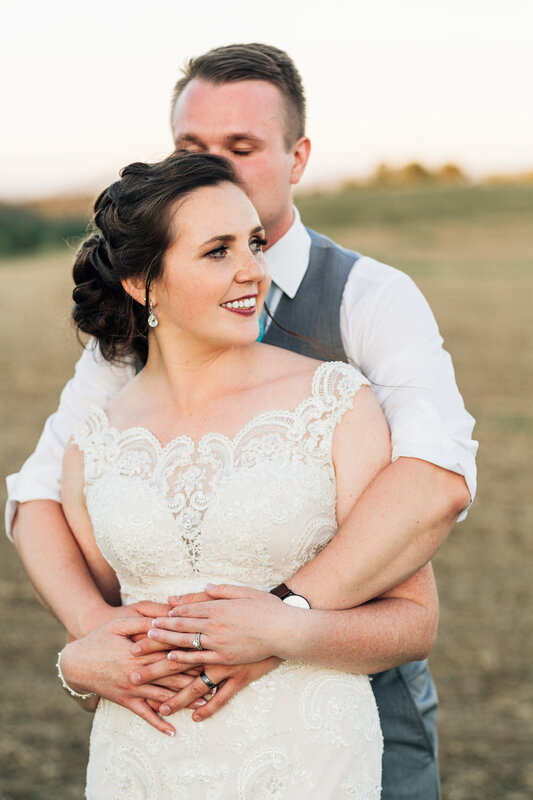 I love when this works out in the timeline because summer lighting is so bright until about 8pm and we all love that soft golden summer light in the evening, and their evening portraits were so amazing!!! 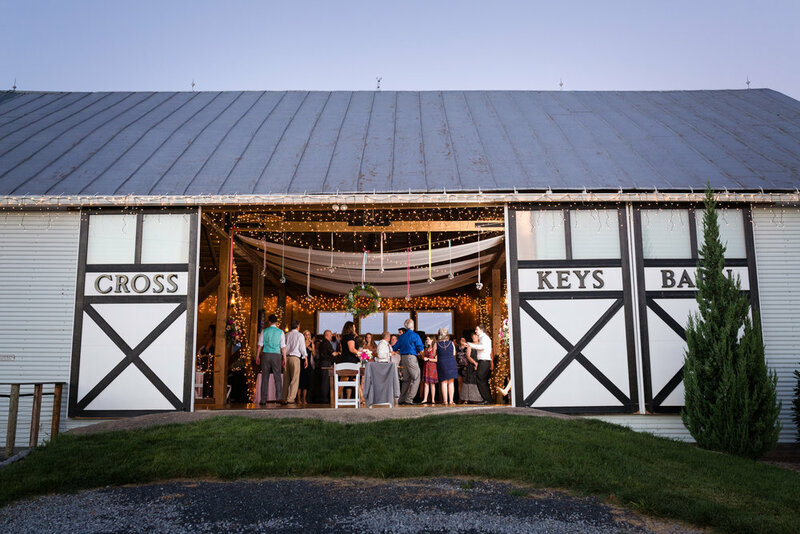 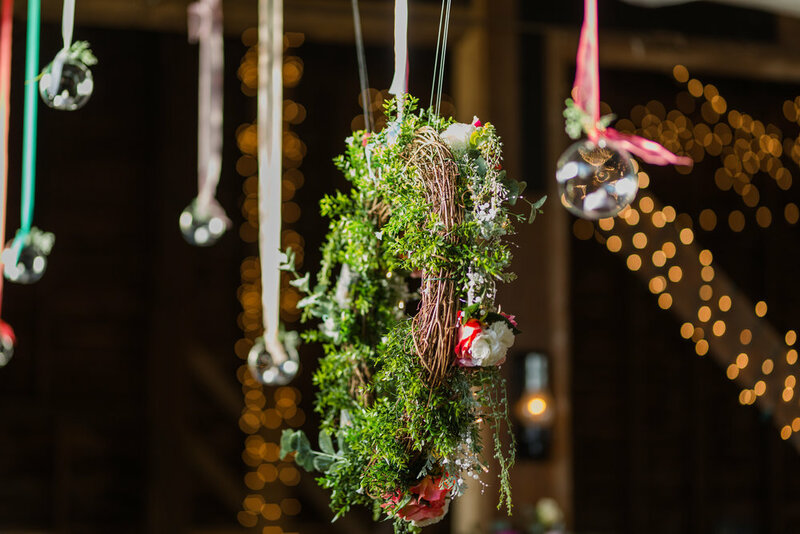 The reception space at Cross Keys Barn is so warm and cozy. 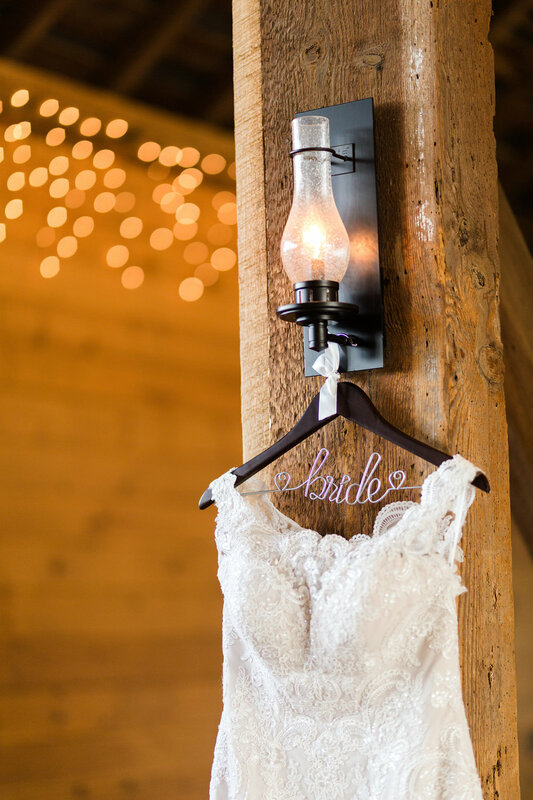 The barn wood and bistro lighting is inviting in the daylight and lights up even more at night. 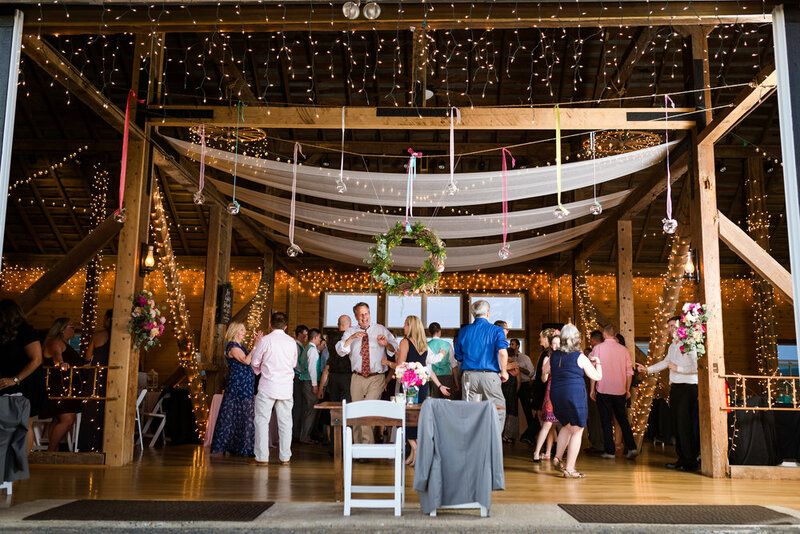 The bright wedding colors fit in perfectly in the dark barn space. 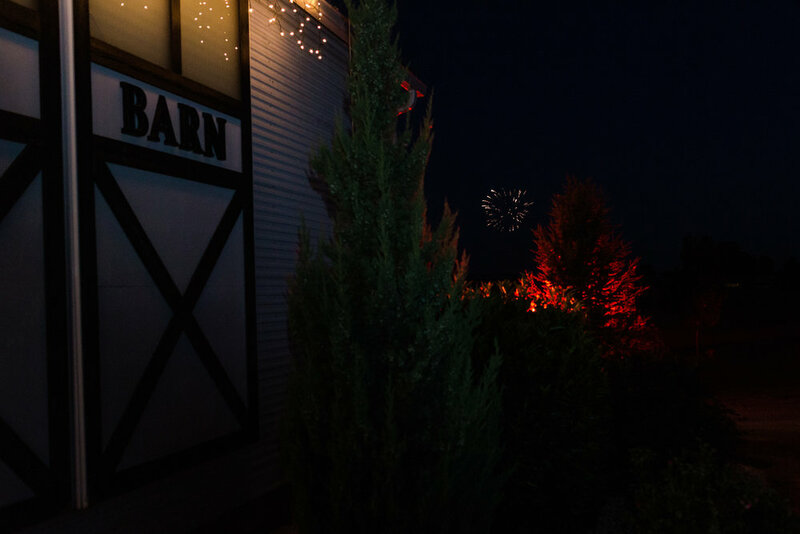 In the evening they opened the barn doors and it's such a pretty view to see the space light up from the outside. 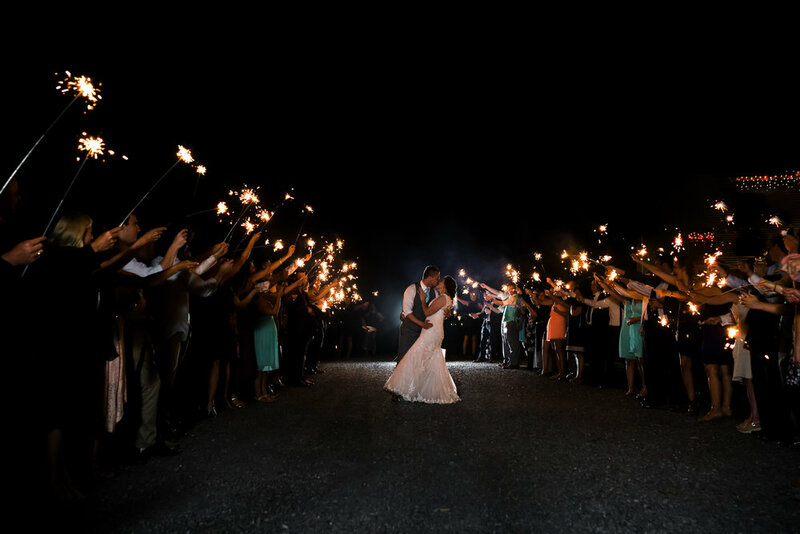 Their reception became a bit energetic towards the end of the night with an ambulance on site and even fireworks as guests were outside watching the events unfold. 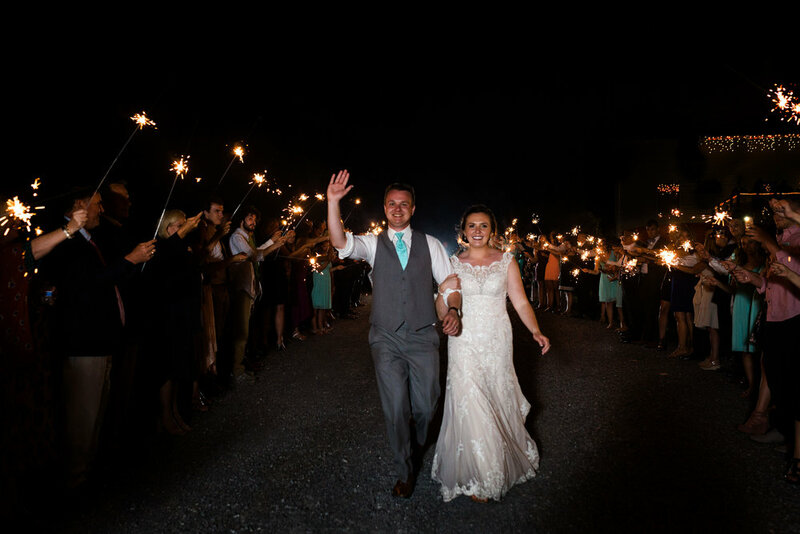 All ended well as guests danced the night away and sent Lindsey and Hunter off with a sparkler exit to end the perfect wedding night!